Black Friday and Cyber Monday are in the books as the big holiday looms ever larger on the horizon. But what gifts will be given this year? According to Microsoft a number of people will be unwrapping its products that morning. Xbox Live chief Larry Hryb, aka Major Nelson, says that Xbox One had record sales on the biggest shopping day of the year. Not only that, but he claims Windows 10 gaming continues to rise, which is hardly surprising. The operating system is only recently on the market and consumers are switching to it. Hryb claims that in November Windows 10 gaming hours exceeded Windows 8 for the first time. Hryb attributes the record Xbox One sales to the new backwards compatibility and the number of bundles that were available on the market this year. He also points out that over the past week there was 325 million hours gaming on Xbox Live. 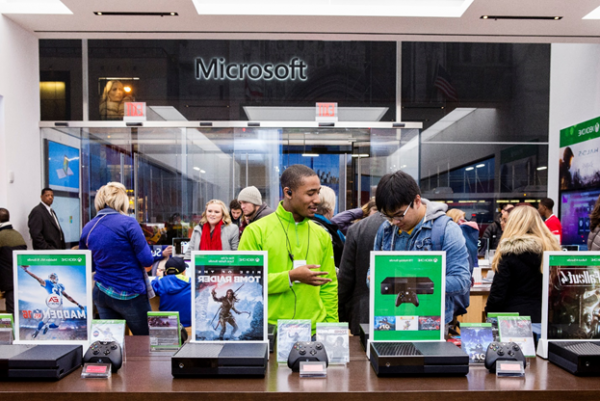 According to statistics Hryb cites, Microsoft Store sales were up 57 percent over both Xbox One and its older brother the Xbox 360. In addition Live Gold subscriptions rose 40 percent worldwide and Xbox One retail sales were up 22 percent over the same period last year. The best-selling bundle was the Gears of War Ultimate Edition and the Elite Wireless Controller was also popular. However, all of these statistics added up to only the second biggest week in the 15 year history of the Xbox console.